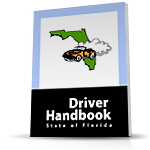 The First Time Driver Course or TLSAE is a required, State of Florida course, that any driver must take before receiving there drivers license. Two different, quality course options are available to the first time driver: a four hour classroom course or a four hour internet course. The first time driver course is so professional and the content so informative that even hard-to-please parents will surely recommend this course to others. The internet course has a wonderful array of informative, driving related materials that will help you become a safer and more aware driver. Subjects include all major Florida Driving laws, rules of the road, the affects of drinking and driving, defensive driving, driver awareness, and most importantly numerous techniques for avoiding accidents in the first place. You will find our course to be the most professional and quality course of its kind in the State of Florida. We have improved the driving techniques and driving habits of close to 2 million graduates of our courses during the last 30 years of being the premier traffic safety provider. Every step of the way, we will provide you with helpful facts that will improve your driving skills for year to come. And our 24-7online course is backed by the best customer service and technical support in the industry. We are here to help and more importantly here to help make you a safe driver. We have select dates and times for our classroom course. Whatever course fits your individual, busy schedule and personal needs, you will be happy to know that you took a course through one of the oldest, largest and most respected traffic school companies in America. The cost of the Internet course is $35 and the cost of the classroom course is $30.